This article is largely researched and complied thanks to the efforts of Sushant Gaur. If you hear the above statements being made by a young boy travelling on a bus, what will your thoughts be? Crazy blabber? Which parallel world is he even talking about? But once you get to know about it, you realise all these statements are just another day in the life of a hitwicketeer. Forever, cricket fans like us have envied Football fans for having Football Manager and there being no such parallel game for Cricket. We have yearned for a cricket-strategy game where we could control everything from finances to training and even stand up as head-coach for your state team if you so wish, expand your stadium to attract more fans, buy and sell players in the auction and do so much more to create the ultimate dream team. And hitwicket makes it a point to impress in this regard. Pardon our abrupt beginning; Let’s start from scratch, Hitwicket.com is an extremely challenging yet addictive strategy game about managing a T20 cricket team. “After Graduation, I realised Job is not what I want to do, that’s why I came back, I was pretty good at web designing and I started getting freelance work, so that how I started. Model wise Hitwicket was interesting, we never thought of it from the business point of view. We were always like, let’s build it and get it to a point where people like it and then we’ll figure out how to make it sustainable, how to make it grow,” says CEO Kashyap Reddy, who has been inventing or modifying popular games since he was merely 4 years of age and left a popular job in Sweden to venture into the uncertainties of a cricket-related MMORPG. The basic aim, like any other league-structured game in the business is to win through 7 divisions to be the game’s premier team. Here, you take control of everything - from managing the finances of your team to either just meet expenses to stay afloat or hoard money and then splurge like Real Madrid when the time is ripe to training your players to make them the next Sachin Tendulkar or AB de Villiers. When you sign up (possible via FB, e-mail or even Google Play Games) a very user-friendly tutorial awaits your presence where you are completely introduced to the nuances of the game. What may seem like too much on one’s plate at first tends to even out over a couple of weeks. Once you complete the tutorial, the game keeps on unlocking new features at regular intervals which include scouting for youth players abroad, aiming for a certain target etc. to make sure that the mind is not crowded by too many thoughts at a time. Each player is recognised not by his performances but his ‘skill level’ which determines how he will perform in the game. The best (or worst as you may take it) part about the game is – the game simulates the match results based on your team strength and strategy rather than actually letting you play it. One of the most amazing features of the game is the ‘real-time-auction-system’ where you can either sell your players or buy new ones to strengthen your team. In the beginning, one can expect more than 90% of your time to be spent on this aspect of the game. In order to achieve success in this creatively orgasmic game, you need to recruit/buy players, keep track of player price depreciation and player sales, plan long term, manage finances, make alliances, optionally stand in elections to manage international teams with a staff comprising of fellow team managers, optionally create actual advertisement to sell players and in your spare time, you can even participate in various unofficial tourneys organised by users. With only two compulsory matches per week, Hitwicket is something which is loved by working professionals as they don’t have to give a lot of time to the game (15 minutes per week is enough) who have a time crunch but still need to play a creatively stimulating game to satisfy their need for entertainment. 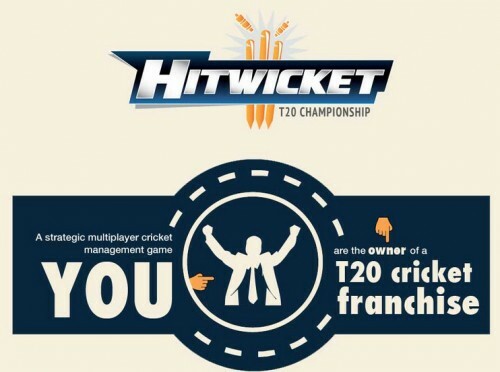 The game had a beta launch on May 2012 and user membership started 6 months later in Nov 2012, its initial members were family and friends of the developers but the game organically grew to 15,000 active users by Nov 2013 and today, with the launch of the Hitwicket app, it has over 250,000 registered users of the game. Another lovely aspect of the game is the focus on the community. 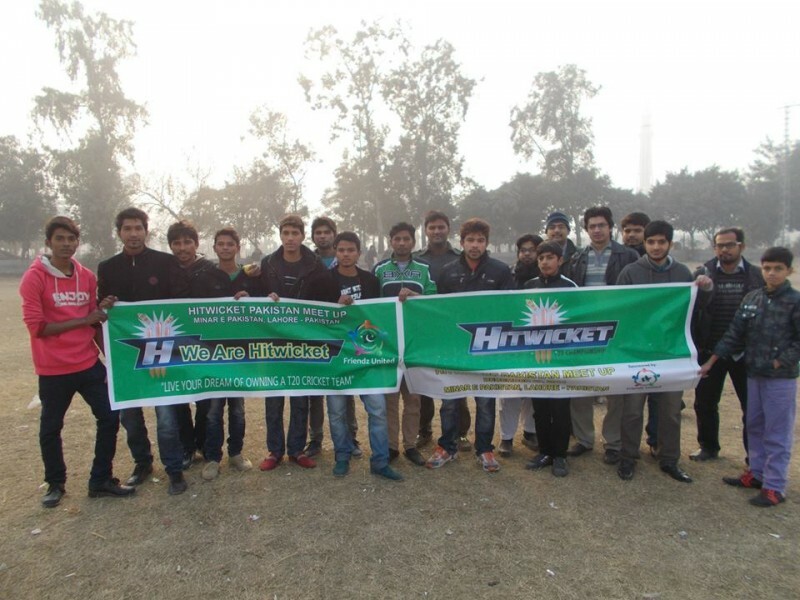 Hitiwicket has a very virile user community with a 25,000 membered user-run group on Facebook and having had more than 30-35 offline user-organised meet-ups including some in Dubai, Lahore, Karachi, Dhaka, Norwich, Delhi, Hyderabad, Mumbai, Bangalore, Kolkata, Patna, Pune, Ahmedabad, Jaipur, Vijaywada and a couple of more scheduled to happen in Sydney and Singapore, Hitwicket.com’s user base is unlike anything any online game has ever claimed to have before and we say this as a fact. A testament to this is that the Delhi-based players have gotten together and formed a registered cricket club based on one of the teams of Hitwicket.com called “Solid Youngsters” and has been on a winning spree in the Delhi club circle. Hitwicket.com is very unique in its offering, you can spend 15 minutes per week on the game or you could spend 15 hours daily on the game as well, and never feel like you are doing a repeat activity to gain money/skills/players. Its match engine is as close as one can get to simulating a real game like scenario, where things like Pitch, Batting Skill (Seam/Spin), Initial Boost to Seamers, Bowling skill (seam/spin/variation), RHB-LHB batting combination, Fielding/Wicket Keeping skills, experience of players and captaincy skills along with a mix of probability to add the mysterious luck factor in a cricket game are taken into consideration. 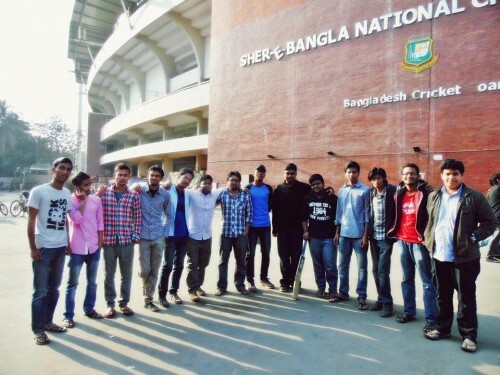 Users get players by scouting in 11 different countries or buying players at 17/18 years of age and training till a ripe age of 24/25, they buy opposite type players, for example – if you train in batting, you buy trained bowlers and vice versa, and then develop their match strategy like aimed score, batting/bowling lineup setting, to beat other teams. If you spend time on the transfer market which usually has anything between 10,000 to 50,000 players on sale at any given time, you can identify good deals from bad ones and make profits to save money for better players. You can play bet matches by purchasing credits anytime with your friends or take part in tourneys being organised. You can make an alliance with your friends and play matches against other alliances, you can make alliances with newbies and mentor them into the game while playing matches with newbie alliances with one mentor and 6 new teams. You can take part in elections to become the head coach of state teams/international teams which take part in an all Hitwicket competition, you can take part in a U20 tournament where Hitwicket team players only under the age of 20.00 can register. But what really makes the game stand out is that it is completely free of cost. Unlike other games where it is necessary for you to shell money to be the best in the business, Hitwicket begs to differ. Indeed, they have their own set of in-app purchases, but they have always made it a point that these don’t affect the gameplay. A testament to this fact is that 5 out of 10 users in the ‘Premier (top) League’ in the game are members who haven’t shelled a single penny from their pocket to reach that point. The philosophy of the game is heart-warming. “See, that’s how we started, from the time we started we decided, this is the kind of game I would love playing and this is how it should be. Over the course of the years, pretty much every debate we’ve had with users has always centred around how some sort of a payment may have a small chance of giving the users an advantage. However, we need to get some learning’s on how other games are doing it so that we can incorporate changes to the game and make our model much more viable without turning our direction towards being a pay to win game.” Says Mr. Reddy, assuring us the game will never move towards a ‘pay-to-win’ approach. In a nutshell, you can probably do everything you can dream of whilst owning your very own cricket club. But there is more. We managed to get a hold of the owner of the company to tell us what we could expect in the near future and the prospects are certainly endearing. Verdict: Certainly worth a try. Since the game is a start-up, it does have its share of problems and fallacies and is laden with frequent changes. But on the flipside, the game’s enormous features and penchant for radical changes makes sure that boredom doesn’t set in too soon. We would rate it 9/10 Stars. Or get from the Google Play Store here.